Diving Adelaide is an Australia based scuba diving company. The website serves as a method of attracting tourists and people who seek underwatera adventure. They came to us with an out of date website which was difficult for them to maintain. We were contracted to apply a major design overhaul to the website’s overall appearance, and to give the homepage a modern look. 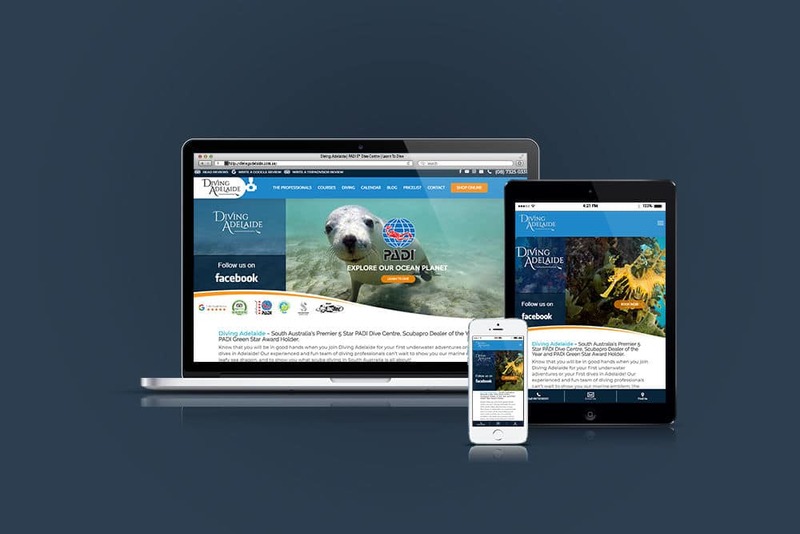 The team at Diving Adelaide wanted to make sure their website was going to surpass their local competitors while offering a visually engaging experience. We implemented a design system that allows the Diving Adelaide website to have curved and colorful transitions between content sections. Small design touches like this can sometimes make the difference between a great experience and a memorable experience.